The Lake Perch were excellent. Customer service was very good and shipping was convenient and quick. I would highly recommend Walleye Direct. Arrived on time and they look great. With Christmas approaching we will eat some of the Perch prior to that day. Again they look great. Very good service. Quality producs. 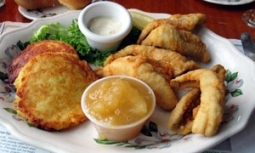 I now live on the East Coast of the US but grew up having fish fry's every Friday on Lake Michigan. I placed an order for 4lbs of perch and it arrived ice-cold, on dry ice. Very fresh product. Really took me back to Sheboygan, WI. Was great ~ Thank you kindly! We enjoyed this order of perch since you wee out of stock on the other we usually order. Will be ordering again soon. Thanks. As a fisherman my expectations of fresh are high. This is like catching it yourself the Perch are huge and perfectly breaded. What an outstanding product perfect table fare. You've won me over. when they shipped it was at our house in 2 day, packed in dry ice and still frozen. We had our first perch lunch and it was delicious. My wife and I were raised in WI were fish friday was the norm and perch was on the menu,We moved to georgia 18 years ago and you can't find perch. So it was a great treat. Although the catfish is good, it's not perch. 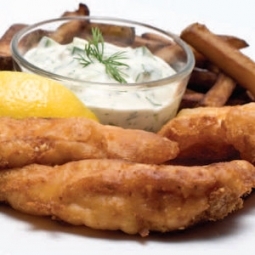 Really good breaded perch! Could be a little lighter on the breading but really very good. Well shipped and as tasty as I had hoped. Very nice size and quality. 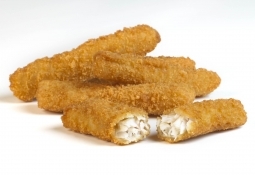 We ordered your breaded perch fillets this time as the smaller unbreaded fillets were not available. The breading is too thick for my taste but the perch itself were great. We are on your wait list for the smaller perch so hopefully the snow and ice up in the north will end soon! Thanks again for some lovely fish that we just can't get here in Texas! Communication with your company is outstanding. Delivery perfect. My fish is most excellent--better than ever!!! Delivery was a little slow, but I think that was due to weekend . Everything packed perfectly. You took pride in the delivery service. Thank you. I wish the shipping could be reduced in price some. Breading on the lake yellow perch could be cut down some. For the customers, I don't want them to think that it was thick though. It is not like some cheap fish found in stores with more bread than fish. I gave you some suggestions, but I'm proud of your company and its products. Positive - I got what I ordered and on time. I did the 2-day shipping. The fish was still semi-frozen; it was in late September. Negative - Way too much breading for my taste; could hardly taste the perch. If I order the Lake Perch again, it will definitely be WITHOUT being already breaded. Very Tasty,but I prefer my own secret recipe breading.Next time will order plain fillets and I will definitely order again!!!! Large filets, perfectly breaded & tasty. Easy to deep fry.